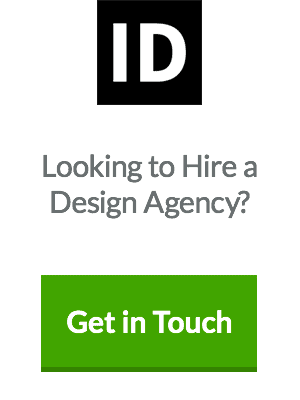 Sooner or later, even the most seasoned graphic artist eventually runs into a bout of designer’s block. 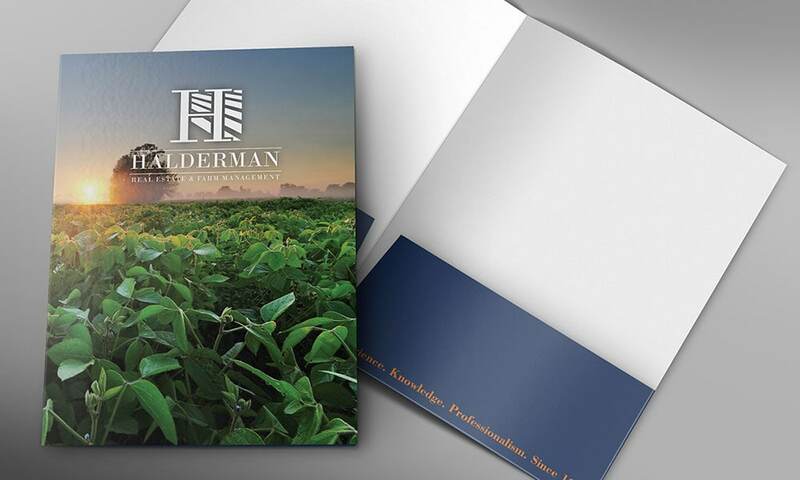 This is especially problematic when designing a pocket folder since this type of collateral can be essential for a client’s marketing plan. 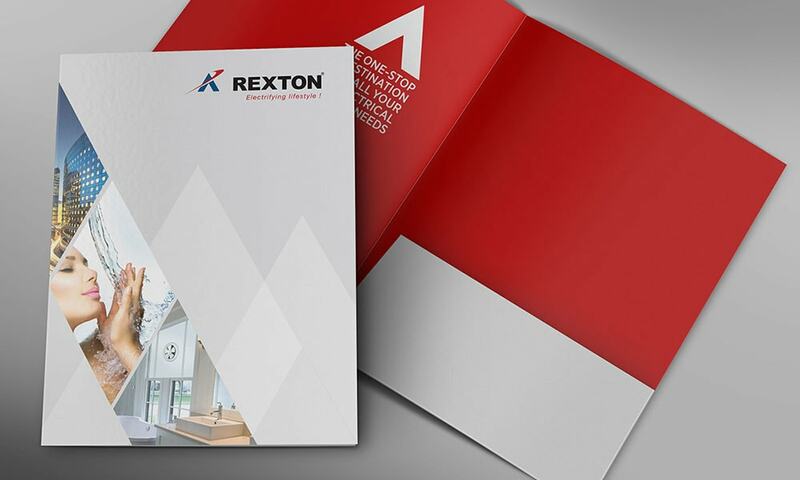 Pocket folders (also known as presentation folders) allow companies to present essential documents to clients or partners in a way that keeps them attractive-looking, organised, and strongly associated with the company’s brand. They always include at least one pocket and may contain more depending on the details of the design (such as the number of panels). 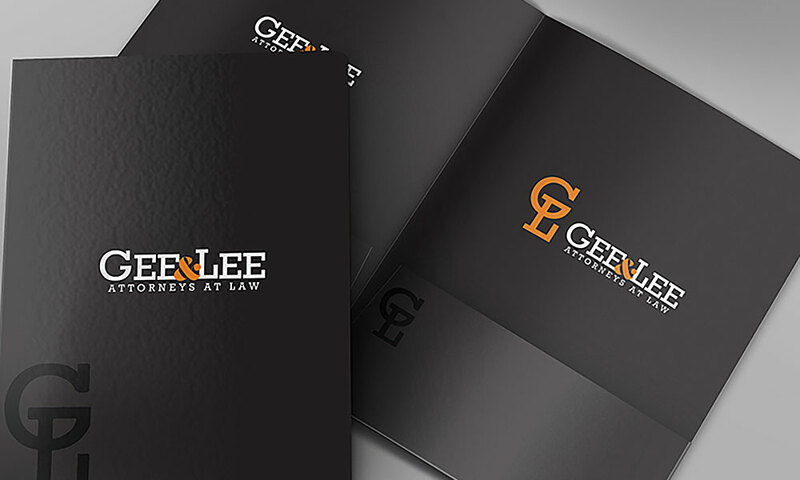 Designing a great-looking folder is rarely as simple as just slapping the business’s logo in front of a random background. It requires careful consideration of the target audience and the folder’s purpose. 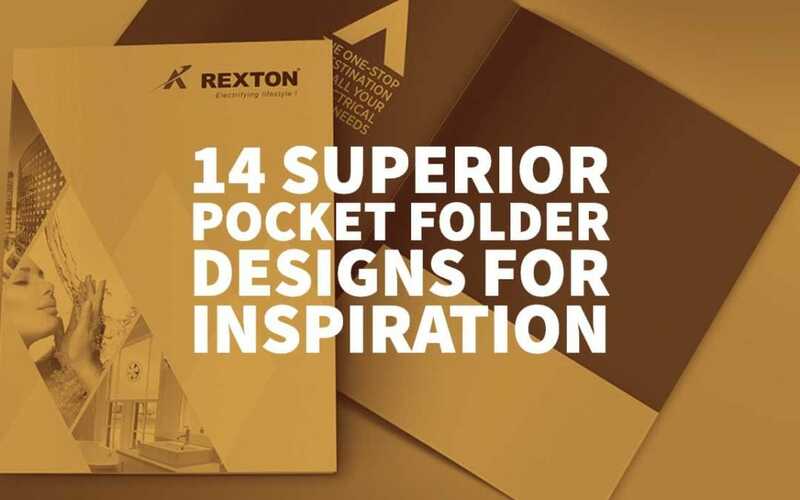 Here are some essential tips, techniques, and inspirational ideas to keep in mind as you create your custom pocket folder design. Some designers choose to leave the inside of their folder entirely blank. That’s a valid choice (primarily if you’re sticking to one-sided printing), but you might be better off adding some visual interest, even if it’s as simple as a solid colour background. Full-colour photography is one of the best ways to attract an audience’s attention. It doesn’t necessarily need to be an image of the product or the company’s staff; it could be a scene, an object, or even an abstract design that is representative of the brand’s work or personality. 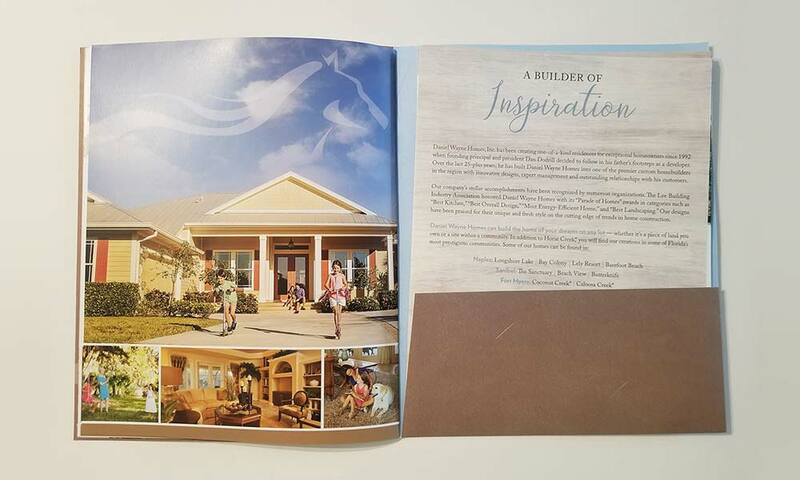 This real estate and farm management design, for instance, features a lush photo of a farm at sunrise. 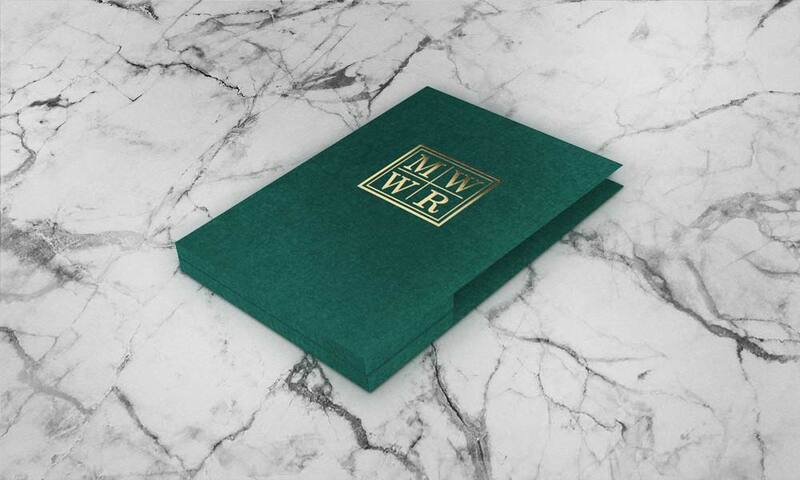 A sharp contrast between visual elements (such as a multicoloured pattern juxtaposed against a monochromatic one) is an excellent way to add visual interest to your folder design. 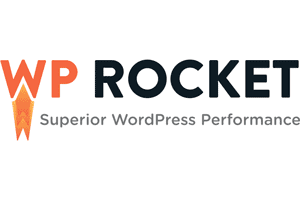 Consider choosing colours, fonts, or shapes that present a noticeable sense of contrast. 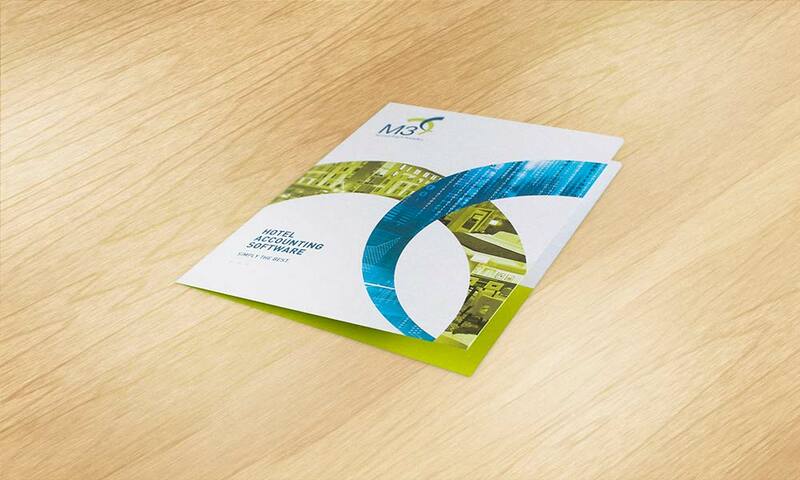 Keep in mind that a folder design doesn’t just stand on its own; it’s made to frame or present the documents inside. 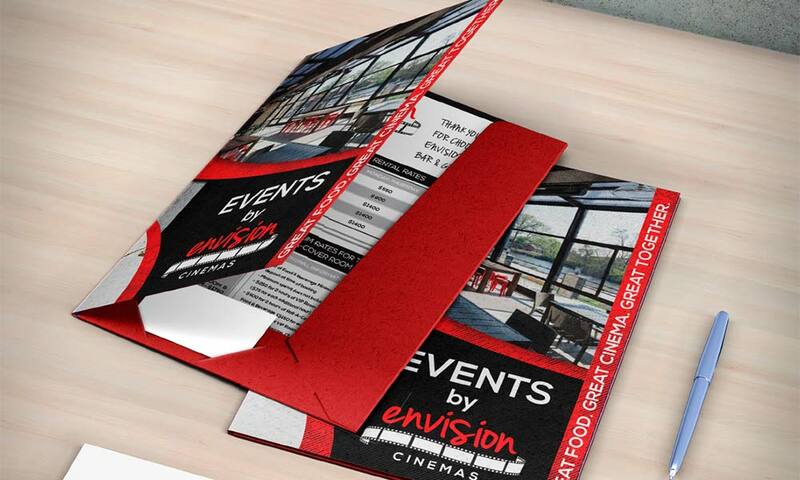 Make sure you understand what is going into your folder before you get too invested in a look; you’ll want the design on the outside to complement the one on the inside, as well. It’s often tempting to try to cram as many elements into a design as possible, but that’s a big mistake if you want your folder to be comprehensible by a general audience. Instead, try to focus on just one or two focal points, and build the rest of your design to support them. 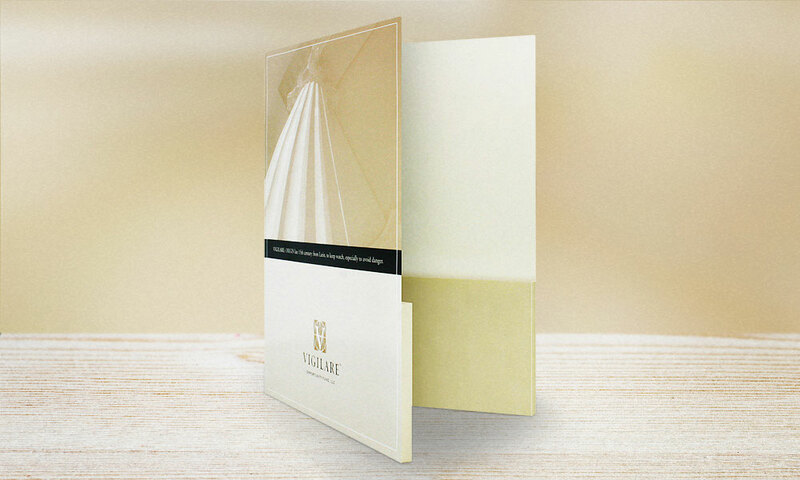 For pocket folders, that typically means the company’s logo will be a significant consideration. Don’t feel like you always have to outright state the company’s goals with an on-the-nose slogan or tagline. You can use colours, images, fonts, or other visual elements to indicate to audiences what the brand stands for—its mission and values. 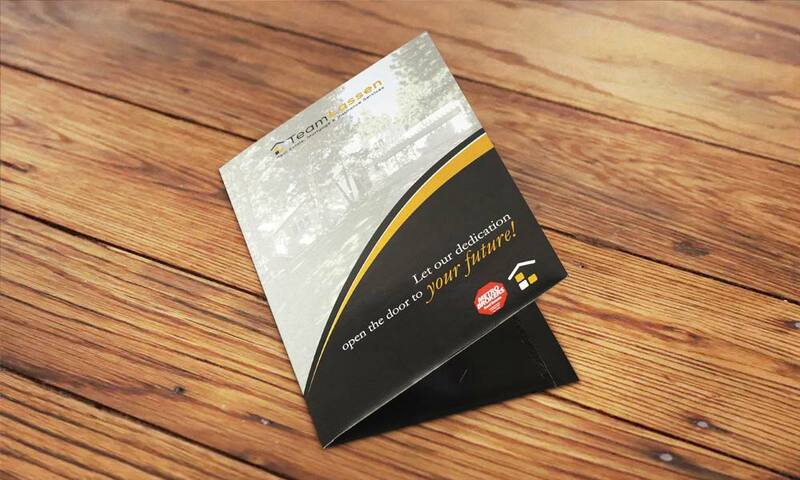 For instance, the angle of the shot and the warm, golden colours used in this two-pocket folder design suggest growth, optimism, and prosperity. Whether your colour scheme is complementary or analogous, it’s essential to create a sense of visual harmony so that the folder is pleasing to the audience’s eye. In most cases, you won’t want more than three or four colours to dominate the design—more than that, and it might overwhelm the recipient. 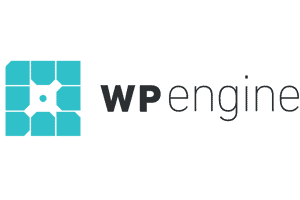 Sometimes, the best way to express a company’s philosophy is by conveying outright in plain words. A tagline is a great way to do this because it’s short, compact, and to the point. Even more importantly, a good slogan is memorable—which means the recipient is more likely to think about the brand even when they’re not directly engaged with the design. Always make sure your design is consistent throughout. 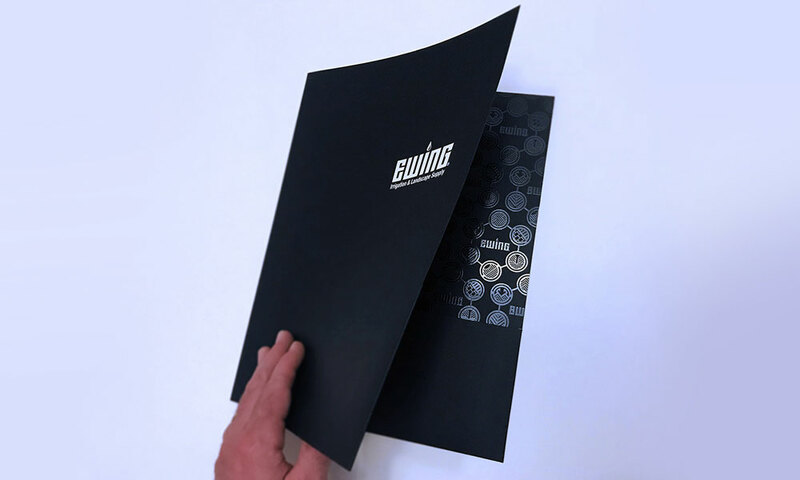 The front of the folder doesn’t necessarily need to look the same as the back cover or inside panels, but they should at least complement one another as much as possible. Many brands don’t take themselves too seriously. 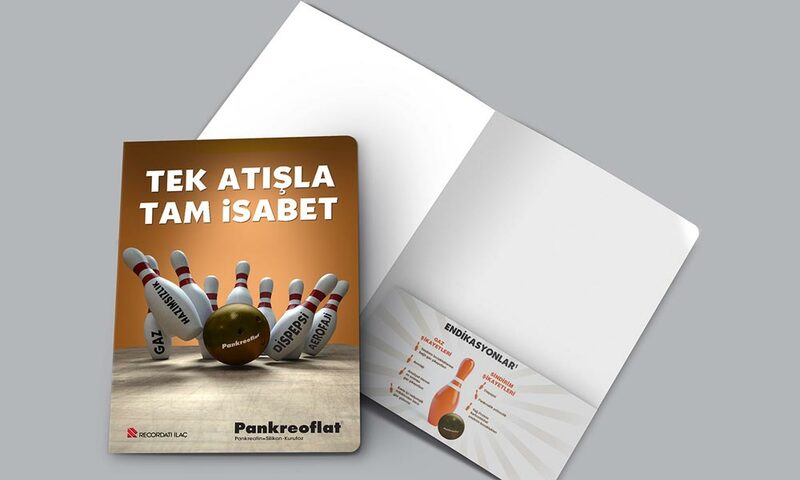 When creating a folder design for this type of company, try employing a fun visual metaphor or joke. It’s a simple way to show that the brand has some personality behind it. Including more than one instance of the company’s logo can help to reinforce it in the recipient’s memory—but you also don’t want to bore them by showing the same thing multiple times. Try to come with creative ways to transform the logo into another visual element. 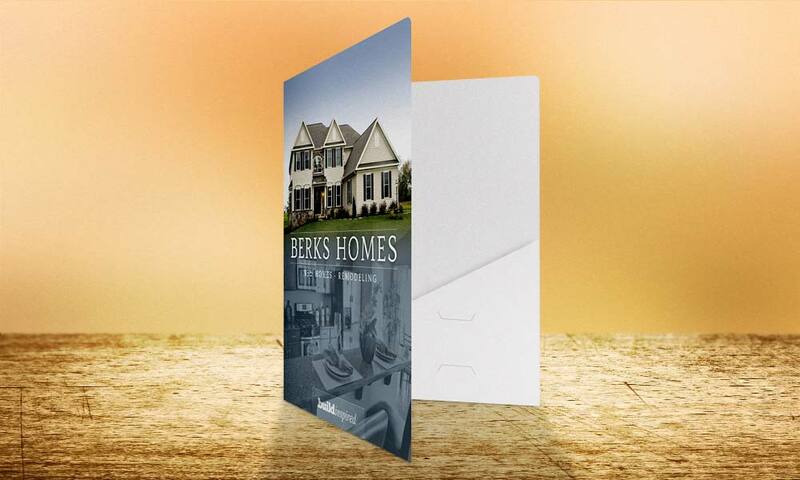 Any pocket folder design worth its salt includes some call to action, whether that means encouraging the recipient to buy a product, join a mailing list, or visit a website. One way to make this a bit easier for them is to provide a QR code, allowing them to jump straight to the resource of your choice with just a point of their camera’s smartphone. Foil stamping is a simple, straightforward way to make a design more elegant and expensive-looking (but it’s cost-effective enough that you won’t need to spend an actual fortune to achieve it). 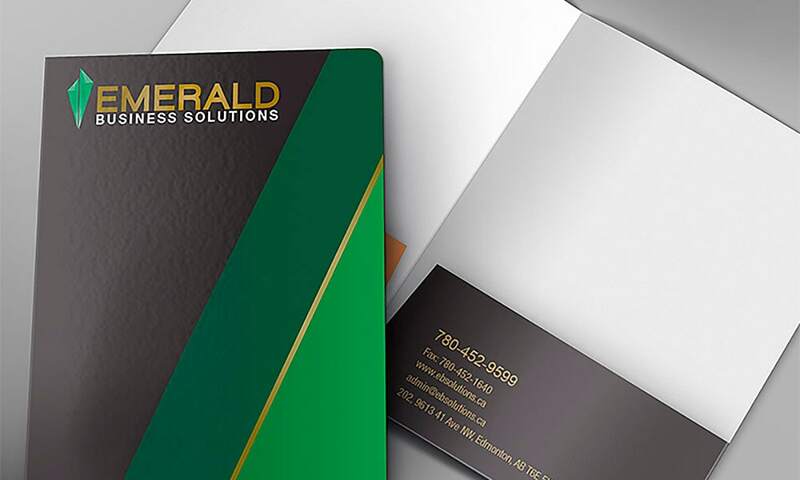 Try placing the company’s logo in gold or silver foil against a solid colour background. Just be aware that this won’t work for every image—logos with thin, delicate elements are ill-suited for foil stamping. Don’t feel like you’re restricted to only using a standard rectangular pocket. With non-standard die cuts, you can form the shape of your folder into practically anything you can imagine. You may even wish to use a cut that’s relative to the brand (such as a star shape for a “red carpet” style event). Alternatively, try a box or expansion pocket to give the folder some extra capacity. 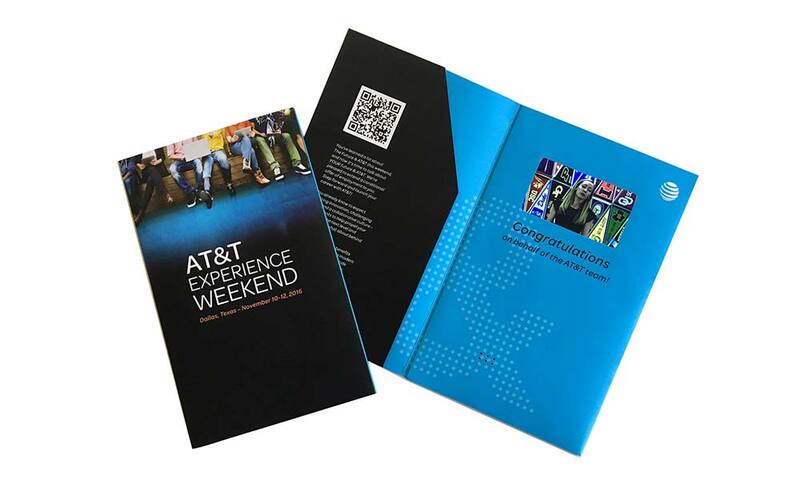 There are many stores and websites where presentation folders are available. 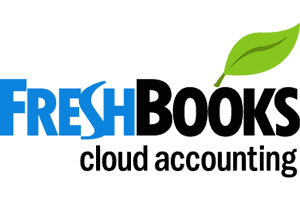 However, we recommend CompanyFolders.com because of its wide selection and helpful design experts, who can guide clients toward the best possible customisation choices. For standard, unprinted folders you can check Amazon for a decent selection of hanging file folders. Do you have more questions about the best way to design a pocket folder or inspirational tips to share?